We love seeing what the creative people do with some their junk and there are some excellent examples of how to make some cash doing it! TenGreenBottles recycle jars and bottles in almost anything, from cutting boards to a flower shaped clock, made of recycled Marmite jars! Do you Love it or Hate it? 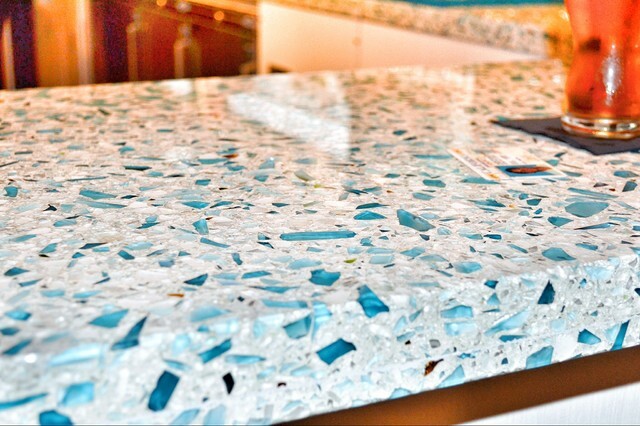 Urbane Kitchens have created kitchen worktops from recycled glass! 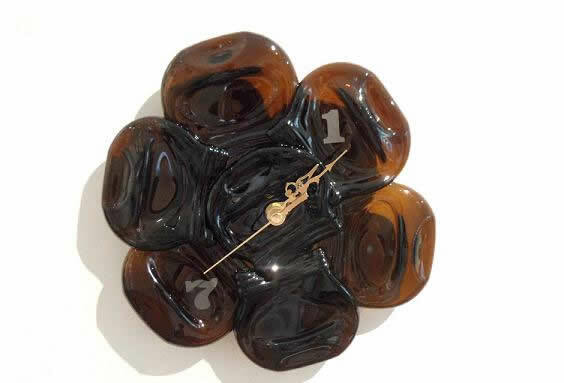 Hard-wearing, polished and long life expectancy makes recycled glass a great option. Recycling glass doesn’t mean having to melt down and reshape. MyEcoStore have created platters for cheese, biscuits, dinner party snacks and more, all from used wine bottles! Ever wondered what happens to your plastic coffee cups? 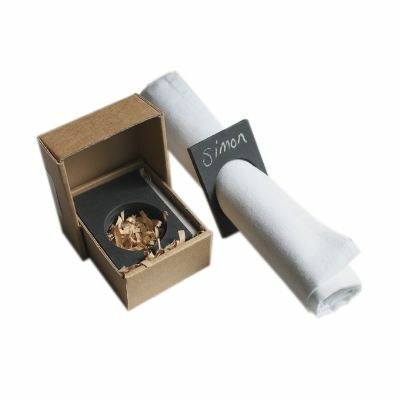 Paprikashop have recycled them to create interesting napkin rings and place settings! Reusable, just write names on with chalk, wash and reuse! It’s not just the UK who are on board with recycled products. Mexico’s Tumi have created executive toys from recycled tin and metal. 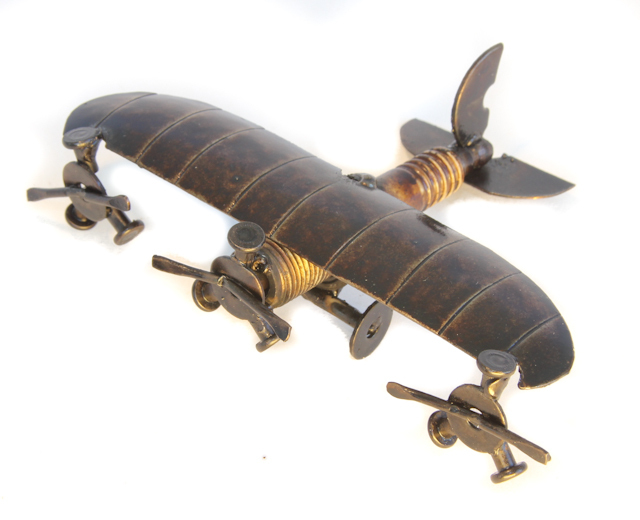 Here, they’ve created a plane created from recycled tin,metal and old spark plugs. Got a few old records laying around? You could recycle them into bowls, like UncommonGoods have. 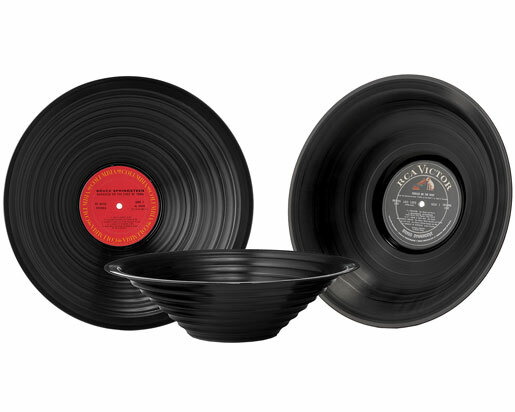 A great way to not only lose track of your old records, as well as the benefit of gaining some cool bowls for dishing out the nibbles next time your mates are round. Not only are products being recycled, reclaimed products are now becoming more popular. Reclaimed furniture is becoming ever more popular, with companies reclaiming some wood as old as 200 years! From dining furniture to wine racks, reclaimed wood is filling the nation’s most fashionable homes. Think that recycled jewellery is all colourful beads and buttons? Think again. 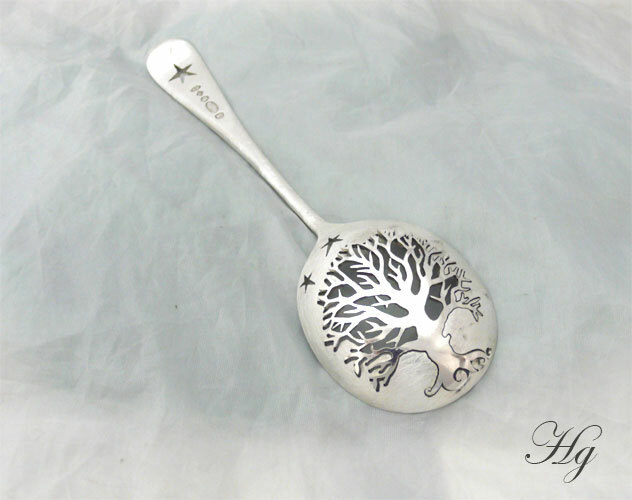 HairyGrowler create jewellery from recycled metal – spoons, forks, old and broken coins. They fashion necklaces, rings, bracelet, gift spoons and earrings as well as commissioning personally designed pieces. What about your hair? Yes, human hair. Recycling hair has major advantages for the environment. Collected and made into hairmats, they are used to collect oil from spillages, reducing the impact on the ecosystems around them. As well as your own hair, pet hair such as dogs and fluffy cats can be recyclable to help the environment – Bizarre but true! Many people recycle items to use in their artist pieces to help entertain others. Some of the most unusual pieces of art are made this way – Oddee.com shows some great sculptures made from childrens toys, drinks cans, clothes pegs and old household waste. If you’ve got some toys, waste plastic you need to recycle why not try and make something from it first – creating hours of fun! PreviousPrevious post:Fly Tipping – the FactsNextNext post:Can I put electrical items in a skip?